Day 1: Trap is set! 7A at Gordon A. 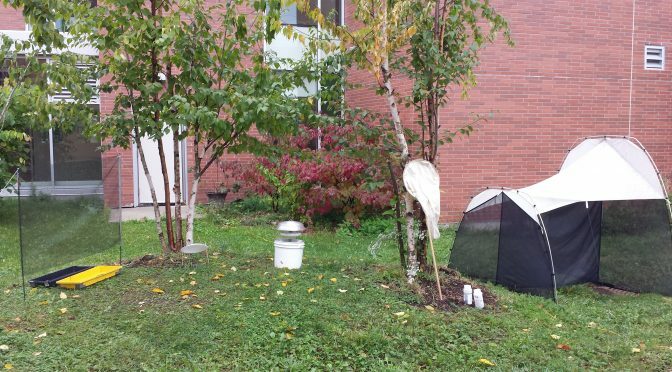 Brown in Toronto sets up the trap and the excitement starts to build. Predictions flying(lol)! How many bugs will we collect? Will we actually catch anything? Can we get lab coats and microscopes? We’re up and running. Very engaged! Day 2: Double the Excitement! Surprisingly good results are coming from our Malaise trap. 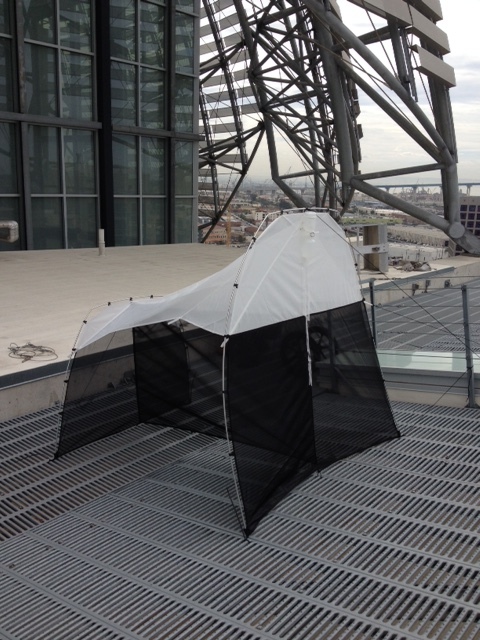 Although the weather is not ideal for insects, we trapped over double the amount that was previously captured the day before. Trap is set … in the Garden?? Up and running here at Highlands School in Edmonton. Had to make some tough choices about where to put the trap … ended up deciding it stood its best chance at staying undisturbed in our vegetable garden area. Hopefully we don’t capture all our pollinating insects. We are so surprised how few bugs we have caught so far! We predict that by the end of this week, the bugs won’t even reach halfway to the “1” on the scale. 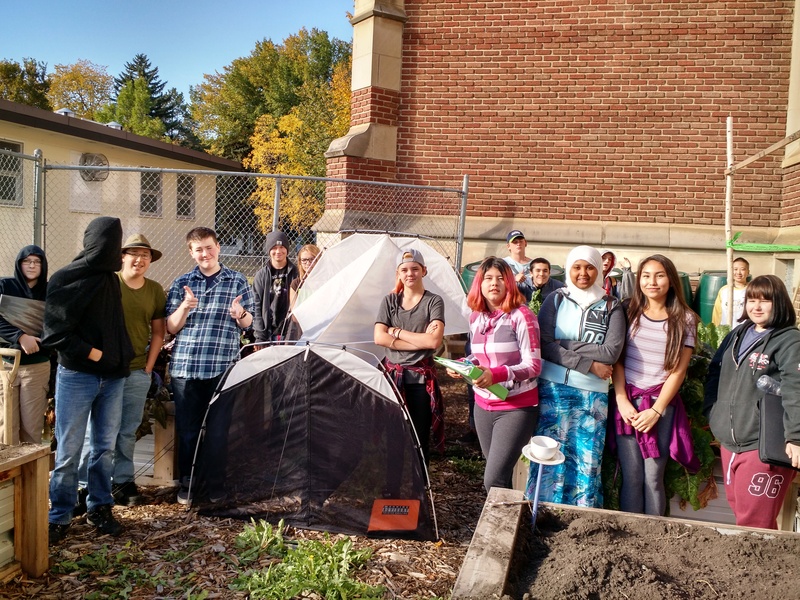 It was great to see the tent looking undisturbed and sturdy and we hope this keeps up for the rest of the project. 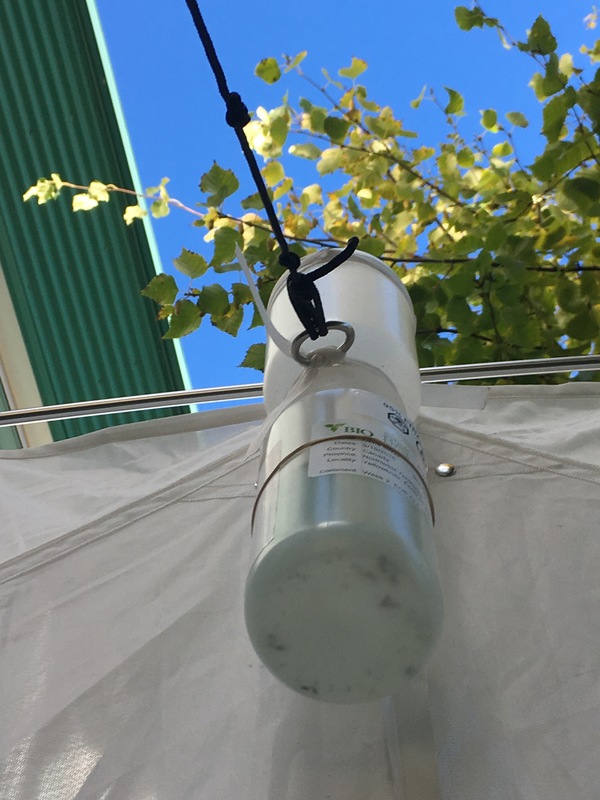 Our group also noticed a number of bugs flying near the top of the tent, but not going into the bottle. 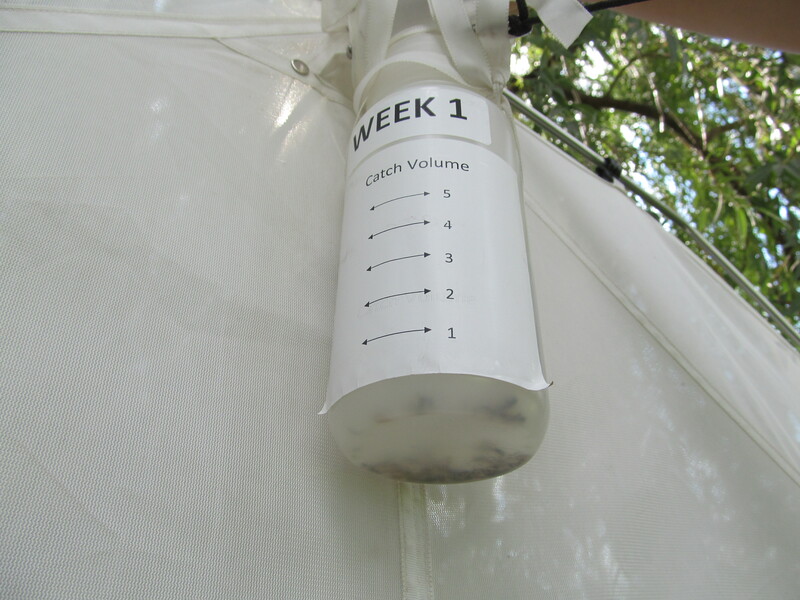 We hope the number of bugs we catch starts to rapidly increase soon! 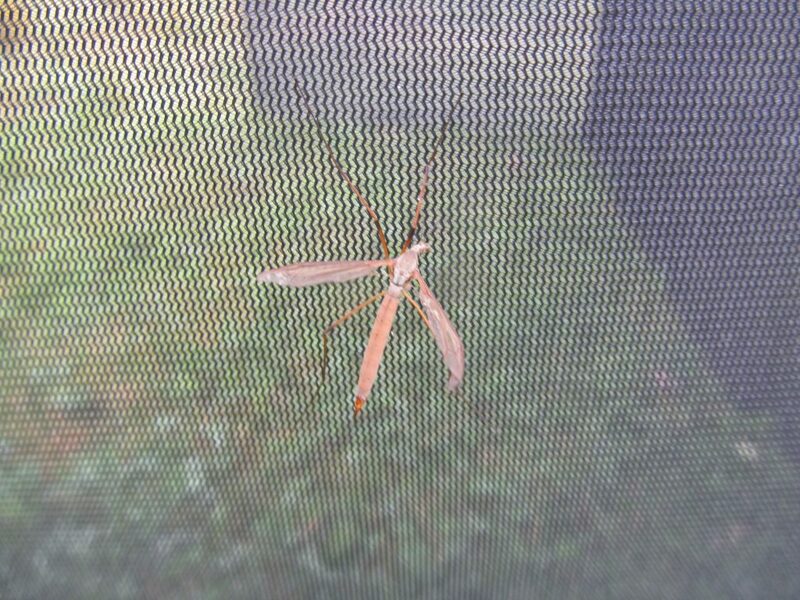 Wow, there are so many bugs! 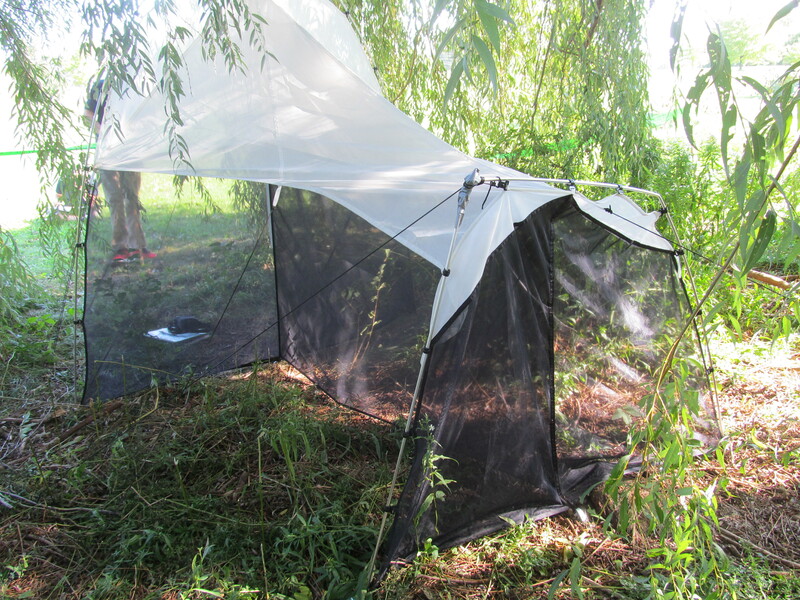 It is so cool how our Malaise trap can gather the bugs in such a scientific way. 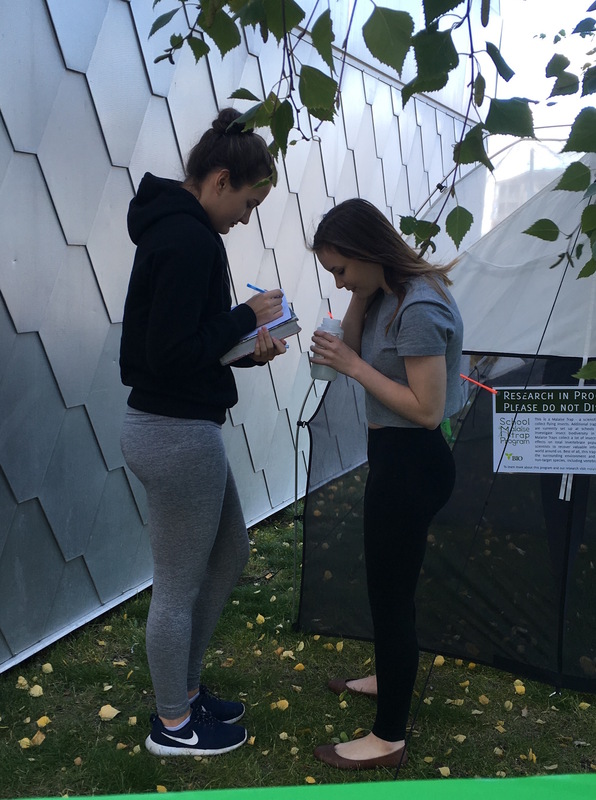 While we were observing the Malaise trap, we had the opportunity to observe a bug get trapped in the net and fly up to the container. We are ecstatic with how well the trap is working. We already have a catch volume of 0.25. We can’t wait to see what we will trap next! Happy Day 1 of Collecting! 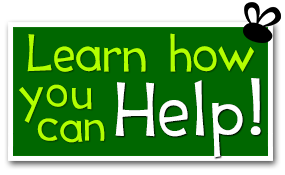 Don’t forget to start filling out the “collection record spreadsheet“, as you will need to submit this document to us at the end of the program (hard or electronic copy). It’s Mr. Drew’s 5/4 class again. We are sad to announce that our collection is over. 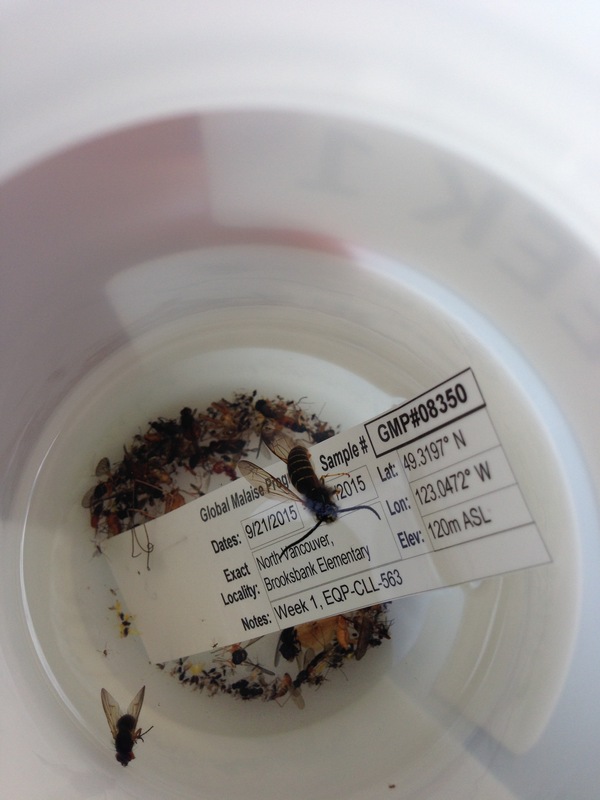 We had a great two weeks watching our collection bottles gradually fill up with all sorts of flying insects. We managed to catch quite a few! We caught a lot more than some of us thought we would. At the same time though, some of us estimated we would be catching thousands of insects and we did not quite achieve that. We did properly predict many of the types of insects we ended up catching. 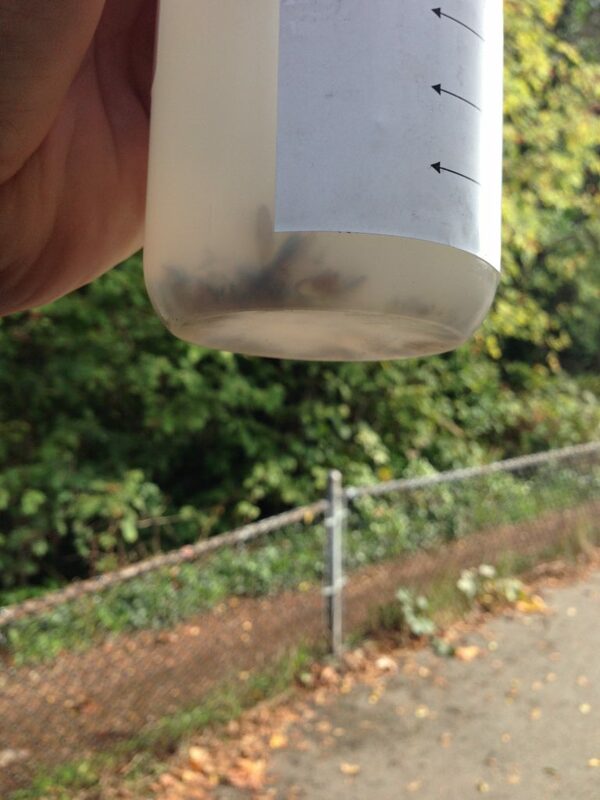 We caught what we think are some wasps, bees, mosquitoes, and many types of flies, though we are not sure what kind. Overall it was very interesting and we are glad we got to be a part of such awesome research. Rooftop Trapping in San Diego! In San Diego, Calif. we have placed the Malaise traps on the roof of three of our libraries: the Central Library, the Scripps Ranch branch and the La Jolla branch. The weather here has been hot and dry but we have been able to collect a good number of samples which we’ll be sending along soon. The picture here shows the trap on top of our main branch the nine-story Central Library. Today was another cool-ish, showery day (16 C was the high), but even with some of the blustery winds we’ve had, the Malaise Trap and its guy ropes are doing just fine. In fact, it looks as good as it did when we first set the tent-like structure up a week ago. This week generally has been cool at night (8-10 C), with a mix of sun and cloud, and occasional showers. Interestingly, when you look at the volume from the outside of the nalgene bottle, it looks like there are only enough insects collected to (barely) cover the bottom of the container, but when you take the lid off and look directly inside you see there are dozens and dozens of very tiny insects, along with more usual sizes of flies and one wasp (which looks positively brobdinagian by comparison). I would estimate individuals at 100 even though by volume they wouldn’t even register on the paper label, much less any of the graduated numbers.